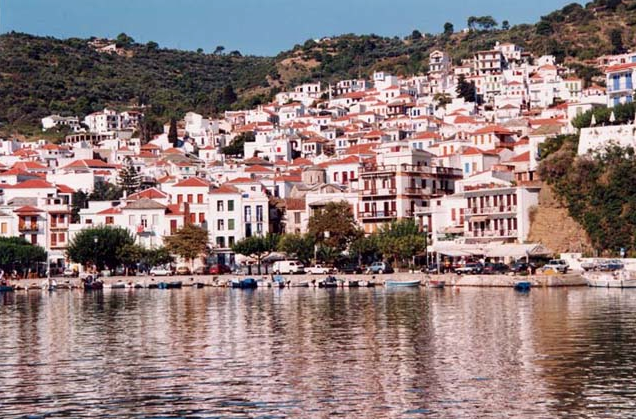 Old village of Skopelos. Shop, explore and indulge at one of our favourite restaurants “Rothi”. 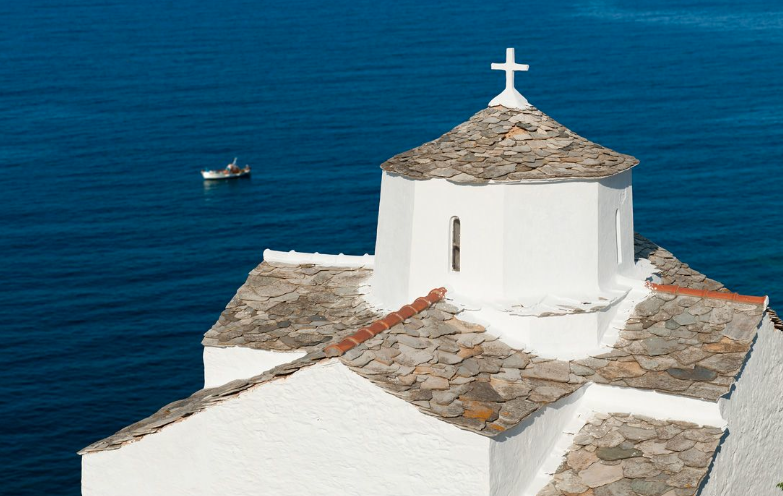 Church view on the sea.